First Step Learning Centre believes that any working parent should be able to feel 100% confident that their child’s safety, health, and emotional well being are given priority by the person chosen to care for their child in their parent’s absence. First Step Learning Centre is honored to have the privilege of caring for your child. All children should receive educational opportunities in a fun filled challenging environment. We have an “open door” policy. 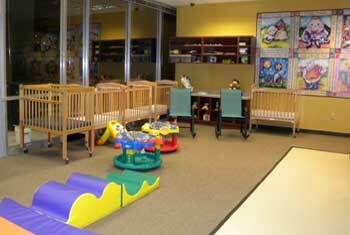 We invite you to visit your child at anytime. Our philosophy at First Step Learning Centre is to provide children that have been entrusted to us an enviroment that provides for the safe development both emotionally and physically. First Step Learning Centre respects children for the unique differences and abilities and insures the educational growth of each child according to their individual needs. Classroom Ratios (caregiver to child) exceeds state requirements. Breakfast, Hot Lunch, and snacks are included with weekly tuition. Owner/Director is onsite and available for parent conferences at anytime upon request. Open Door Policy is for all the parents at anytime.